2 July 2009 Moscow, Russia...A conference, “Urgent Problems in Realizing the Freedom of Conscience in Contemporary Russia”, organized jointly by All-Russian Public Organization for Protecting Religious Freedom, IRLA and the Center for Religious Studies of the Russian State Humanitarian University, was held in Moscow on July 2, 2009. Leading experts dealing with religious studies along with representatives of religious organizations took part in this conference. The state employees were also invited to present the viewpoints of their offices. The most pressing problem in realizing the principle of freedom of conscience in present-day Russia is the necessity to oppose the ongoing violation of this principle at the federal, regional and local level. The participants in the conference are expressing deep concern about the decision taken by governmental bodies to enlarge the powers vested in the Council of Experts for Religious Studies under the Ministry of Justice of the Russian Federation, and allow this Council to exercise control over the activities of religious associations, which is a crying violation of the Law “On the Freedom of Conscience and Religious Associations”. The membership of the Council was radically changed to include mainly the governmental and church functionaries not having any experience of religious studies outside the scope of their own confession, with Mr. Alexander Dvorkin – a person not having a necessary education, who is a staff member of the educational institution governed by a certain religious organization – as a chairman. This decision of the Ministry of Justice clearly demonstrated what kind of policy they would like to pursue and how seriously they took the implementation of the constitutional provisions and the principles of law. The participants are pointing out the violation of the provisions of the Law “On the Freedom of Conscience and Religious Associations” (Article 4, par. 4) that unambiguously forbids governmental officials, persons employed by other public agencies and local authorities, and members of the armed forces, to abuse their office in favoring some or other religious attitude. The actions of said persons represent actually gross violation of the constitutional provisions, according to which the Russian Federation is considered a secular state, the religious associations being independent of the state and equal before the law. For instance, the public employees are sometimes decorating their offices with specific religious symbols. On the initiative of some commanding army officers, the priests are consecrating weaponry. From 1990s the religious symbols have been added to various government awards. The violation of the rights of believers can be illustrated by the following example. In the Belgorod Region, a community of Evangelical Christians-Baptists appealed to the Russian Federation ’s Ombudsman in connection with a ban imposed by regional authorities on the distribution of the Holy Scripture in health-care, educational, penal and other institutions. According to applicants, the administrators of said institutions sometimes suggested them, first of all, to secure consent of the head of regional eparchy of the Russian Orthodox Church. Similar advice was given to members of different confessions and religious organizations in response to their official applications by authorities in other Russian Federation ’s subjects (the presentations contain numerous examples). It should be noted that constitutional rights of believers to dissemination of their religious views have been infringed verbally, thus closing out any chance of appeal. No less urgent a problem in realizing the principles of the freedom of conscience in contemporary Russia is the classification of religions as “traditional” and “non-traditional”, called forth by wrong interpretation of the preamble to the Federal Law “On the Freedom of Conscience and Religious Associations”, in which the religions “that are constituting the inalienable part of the historical heritage of Russia’s people”, are listed. Consequently, the concept of “non-traditional religion” has been arbitrarily identified with the concept of “sect”, the latter being a nonlegal term that has a clearly negative connotation. 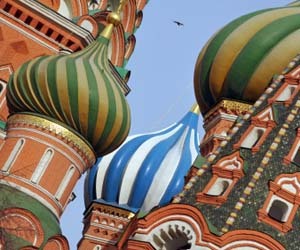 Without relying on the Russian Constitution or the current laws, the standard regulations and press releases of the state and local authorities are sprinkled with such terms as “sect”, “destructive cult”, or “adepts”, which are arbitrarily and maliciously applied to characterize certain confessions, thus having the most unfavorable consequences for the affected religious organizations. The participants in the conference are calling on the responsible politicians and religious leaders in Russia to eliminate numerous breaches of the constitutional principles in state-confessional relations that are threatening the peace in Russian society. There is a pressing need to return to the observance of the Constitution, national laws and international commitments of the Russian Federation .